With “Dance Macabre” becoming the band's third #1 single at rock radio, Grammy award-winning artist Ghost announces a six-week North American headline tour that will see the Swedish rock band’s elaborate rock theatre presentation metamorphose into a full-on arena production. Produced by Live Nation and billed as the “Ultimate Tour Named Death,” the outing is due to kick off Friday, September 13 in at the Rabobank Arena in Bakersfield, CA, following Ghost’s special guest summer slot on Metallica’s 25-date “WorldWide” European Stadium Tour. A series of ticket presales begin on April 2 at 10AM local time. 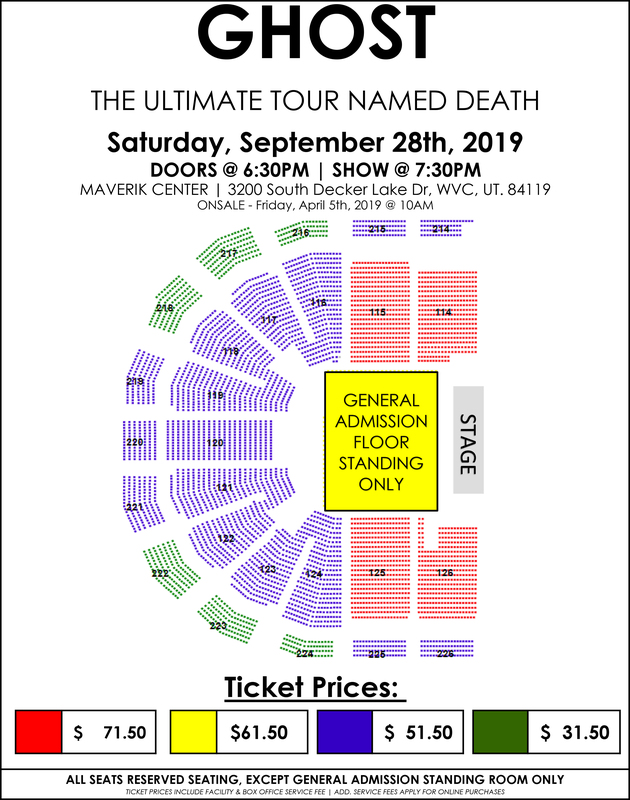 Tickets for the “Ultimate Tour Named Death” go on sale to the general public beginning this Friday, April 5 at 10AM local time. Log on to http://ghost-official.com for all pre-sales, VIP packages and ticketing details.